Tasty Tuesday is back again, and this week it’s on The Players’ Retreat! 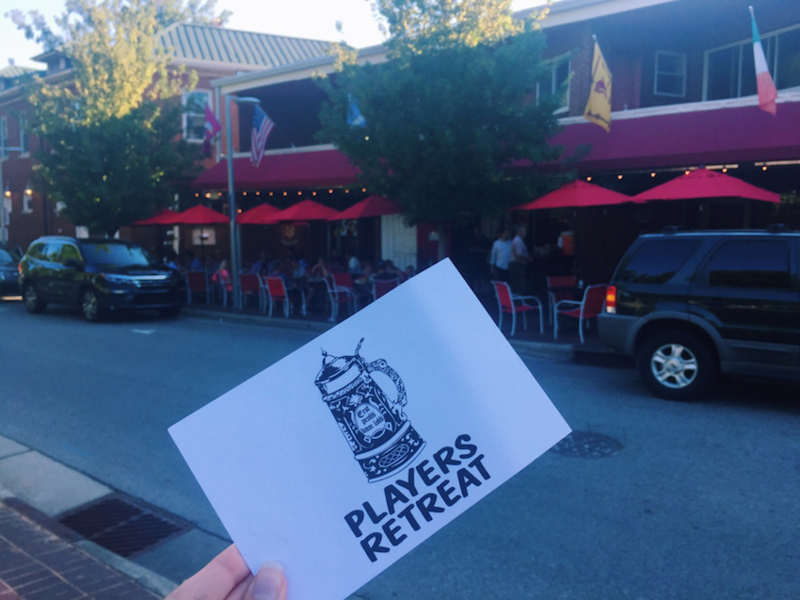 Established in 1951, by Bernie and Mickey Hanula, Player’ Retreat was known as a family owned establishment. 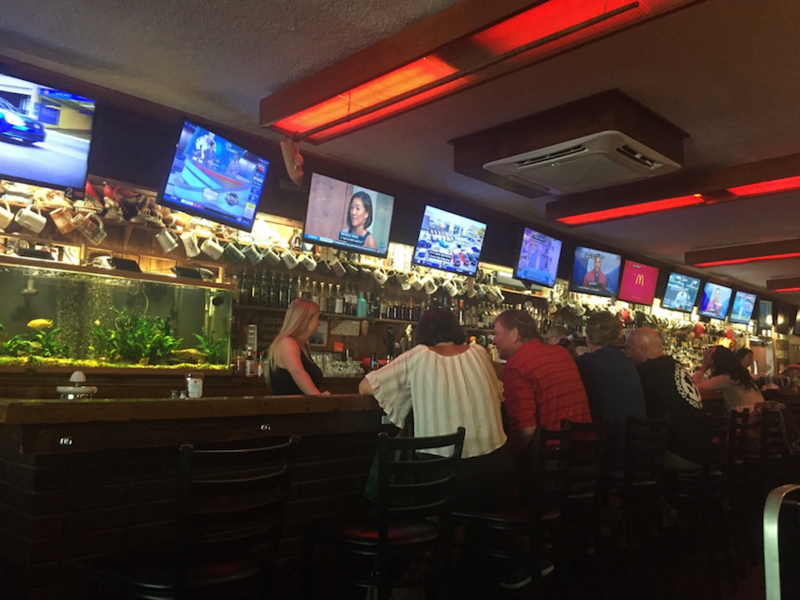 Since then, the restaurant and bar has been a popular place for all ages and walks of life. Affectionately known as PR, it has strived to keep the same traditions that were set in the beginning. PR continues to be a hit spot in the Hillsborough Street area due to its great atmosphere and fantastic food. The red umbrellas and flags always caught my eye whenever I drove past the location. The outdoor seating area is a popular choice and has plenty of shade to help combat the summer heat. I chose to sit inside, and was immediately met with friendly service. The bar was a great size to accommodate many people and I loved the fish tank we sat near. It was also lined with several TVs, perfect for showing different games. 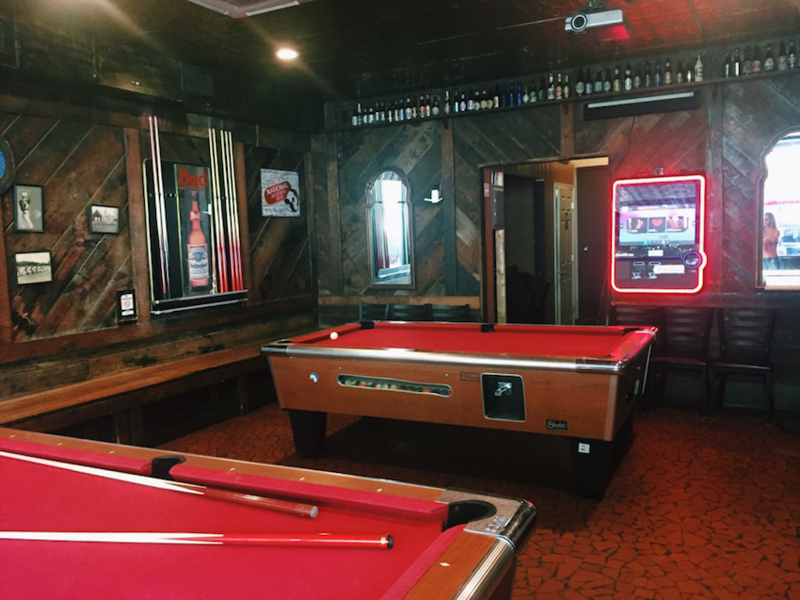 There was a room off to the side with pool tables that are ideal for enjoying a nice game while sipping on a drink. The woodwork, vintage décor, and pictures made me feel comfortable and right at home. Our waiter was very friendly, and answered any questions we had about the menu. He recommended their “From the Grill” section because it was the most popular. I chose their house-ground, grilled-to-order “Bernie Burger”. 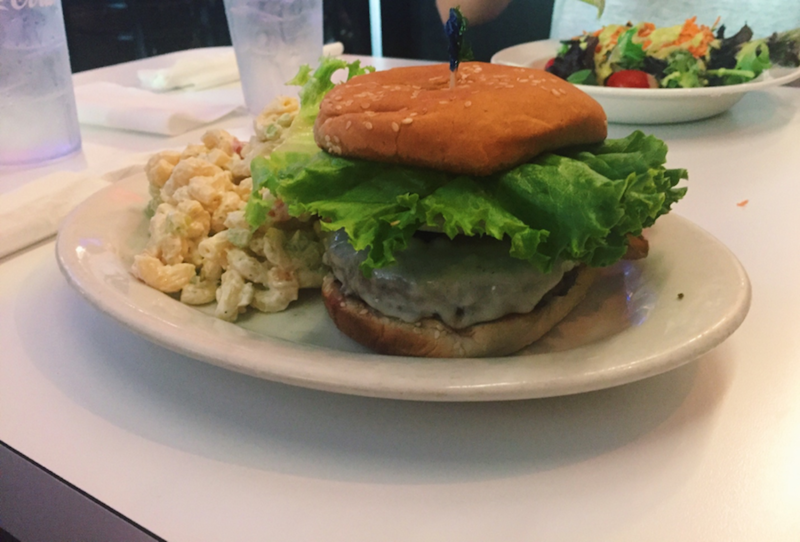 I was more than happy with my decision, and knew from my first bite why the burgers were so popular. The quality of the meat was exceptional and made every bite great. I had the choice to have chips or pasta salad as my side. I’m a big pasta salad lover, so that was my choice, and it was a great asset to the meal. Their menu has a wide variety of options, and I can’t wait to go back and try more of their homemade items and favorites. They have a great drink list and were the recipient of the Wine Spectator Award of Excellence for 2010-2015. A prime place for NC State Students and the Raleigh community now for over 65 years, I highly recommend giving PR a visit. It is sure to become a top contender for your hangout and food go-to.